Each morning, sunlight pours down on the tall coconut trees and the beach and warms the salt water that is endlessly crashing gently against the shore of beige sand. The description fits none other than the beautiful village of Goa in India. How would it be if every day was all sunshine and smiles? Well, in Goa this is no fantasy! Each day is brought to life by the light and warmth of the beautiful tropical sun. The climate is not affected by adverse temperatures due to the sea breeze. The weather is simply perfect for a laze on the beach. 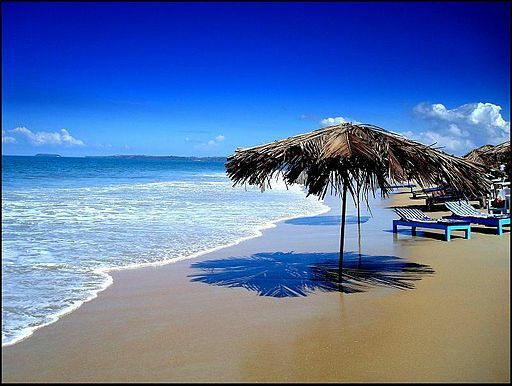 There are many beaches in Goa. From white sandy quiet beaches to lively beaches in Calangute and Arambol and the secluded Cola beach, there is a beach for every type of traveller! Why not explore them all? The whole world in Goa? If you were told that the cultures of the entire world can be found in one place, you probably wouldn’t believe it. Your opinion is bound to change once you’ve visited Goa. This is a place that welcomes people from all parts of the world resulting in foreigners from Europe and the US staying over for the entire season! Find some of the finest delicacies in this foodie’s paradise! From small snacks in wayside eateries and vendors on the beach to fine dining in hotels in Goa, for example, the likes of Alila Diwa Goa have much to offer.